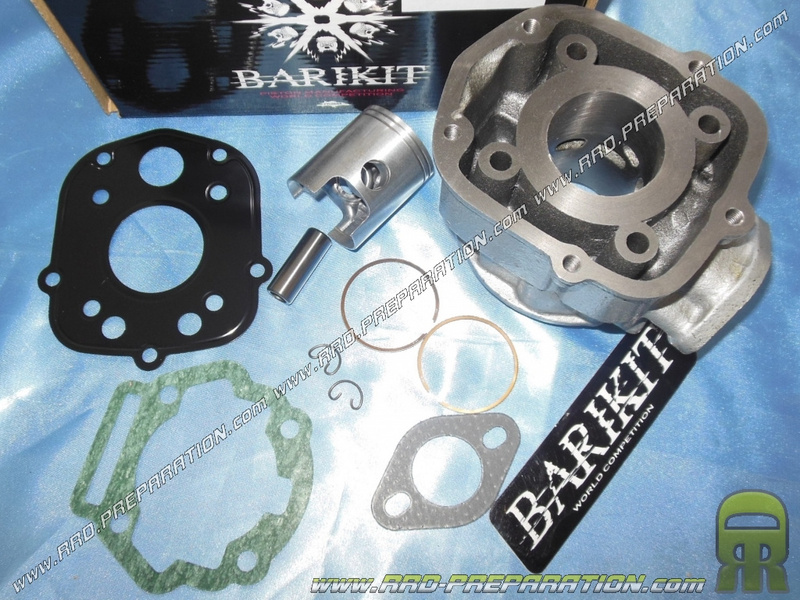 Strong and powerful, cylinder / piston without cylinder head ideal for meeting the 50cc engine and circulate all day. 5 transfers, oval exhaust OOSTER, bi ... piston segments. 128,12 € 128.12 tax incl. Approved on the public highway, respect the required displacement of 50cc. 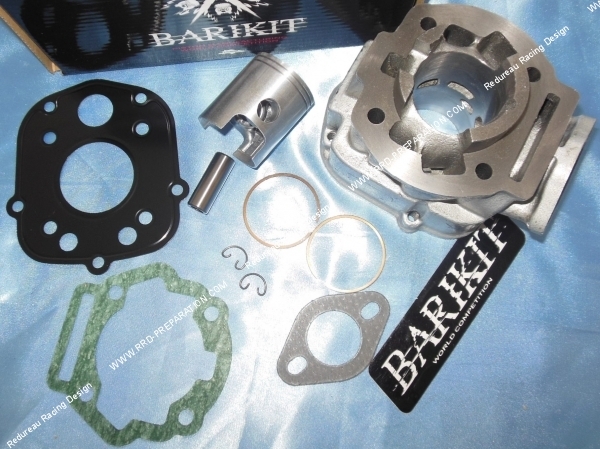 To accompany the cylinder head high compression pad BARIKIT. 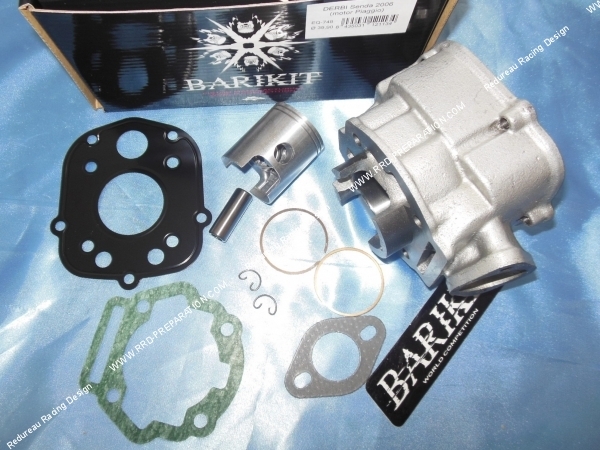 Here is a very good kit 50cc cast iron for mécaboite driving DERBI euro 3, it is the BARIKIT Racing model with a bore diameter Ø39,90 mm. 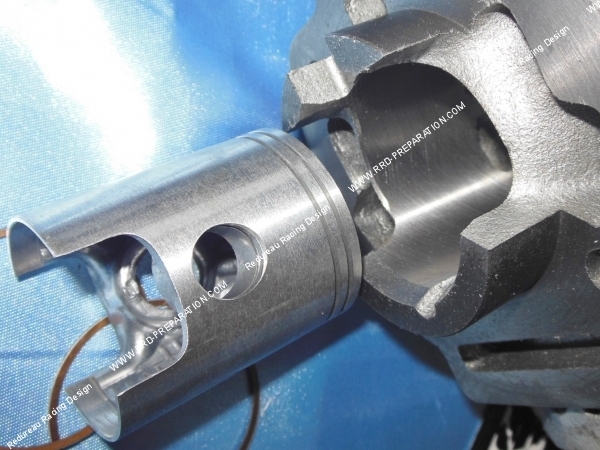 This model therefore offers cast iron 50cc regulatory capacity of torque and power to be in order and move every day, thanks to solid cast alloys. Model racing without stud bolt! 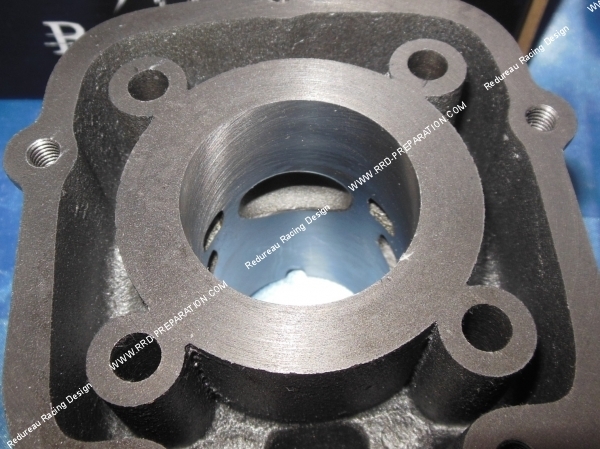 Its cast iron cylinder thus has 5 transfer inlet 1 in the rear and 4 side. Admission is reworked, we recommend also to mount 17,5mm PHBG carburetor to the cylinder 19mm if you see slightly rework admission, the exhaust outlet is also much improved with its two boosters and its oval shape. 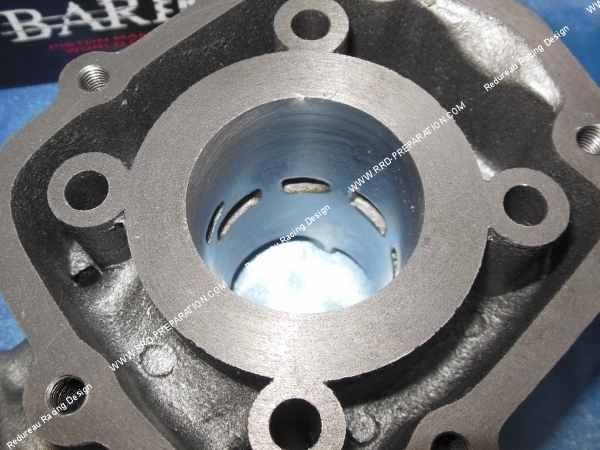 Well thought diagrams to this small cast thus providing slight performance and greatly improved recovery compared to the original model, especially coupled with good compression ratio offered by the hemispherical combustion chamber, polished cylinder head. This kit does not neglect the couple and solidity with its bi-segment piston well designed with an enlarged identical skirt the bases, two chrome segments resistant encouraging the couple but also the rise due regime to the fineness of these (1 mm) . The advantage of this set is its relatively low price, you will have a powerful engine, torquey and very strong! A very good basic preparation also for the connoisseurs who want to have fun every day or run on circuit. Optional we offer a preparation course 1, this preparation is a modification of the exhaust port by increasing the charts and improvement of the duct, it increases the cylinder performance. Improved bottom skirt is also included in the amendment. Allow a little extra time for this preparation!